The widow of Eagles founding member Glenn Frey has filed a wrongful death lawsuit against the New York City hospital and doctor who treated him, court documents revealed. Cindy Frey claims negligence by Dr. Steven Itzkowitz and Mount Sinai Hospital lead to Frey's death in January 2016, according to the lawsuit filed Tuesday in New York state court. Frey was 67 when he died of of complications from rheumatoid arthritis, acute ulcerative colitis and pneumonia, according to an official statement on the Eagle’s website. His widow claims Itzkowitz and the hospital failed to treat her husband’s ulcerative colitis and associated diseases, failed to diagnose and treat his infections and respiratory issues, and did not give proper medical advice. "As a result of the foregoing acts of negligence, Glenn Frey was rendered sick, sore, lame and disabled, suffered injuries, pain, mental anguish, was compelled to seek medical care and attention, incurred expenses thereof, and was permanently injured and disabled until the time of his death," the suit alleges. The case was filed just before New York's statute of limitations for wrongful death cases expired, according to Reuters. Cindy Frey’s lawyer, Eric Turkewitz, declined to comment. Mount Sinai spokesman Matt Koszar said that the hospital would not comment on pending litigation. Itzkowitz "was negligent and careless in the services rendered for and on behalf of Glenn Frey," while Frey was in the doctor's care from Oct. 19, 2015 to November 2015, the suit states. The complaint seeks an unspecified amount of money and says "his family was deprived of his care, guidance and support, and they have suffered [financial] damage." Cindy Frey had three children with Glenn Frey and controls the musician's estate. 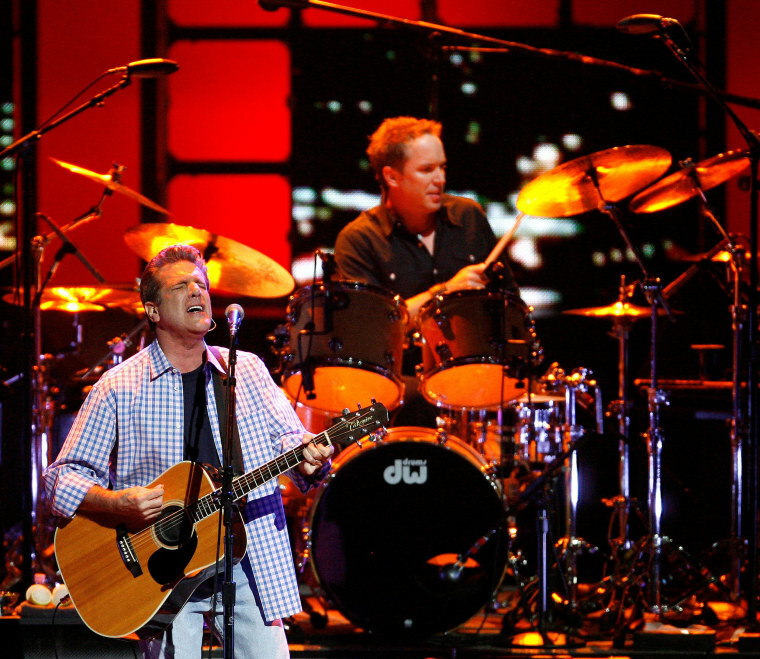 Glenn Frey founded The Eagles with Don Henley, Bernie Leadon and Randy Meisner. The band was extremely successful in the 1970s and early 1980s, and Frey wrote or co-wrote some of the Eagles' biggest hits, including "Take it Easy," "The Best of My Love," "Desperado," and "Hotel California." Frey then enjoyed a second successful career as a solo artist who made long-remembered songs associated with the TV police drama "Miami Vice" and the popular 1984 comedy "Beverly Hills Cop." "He was like a brother to me; we were family, and like most families, there was some dysfunction,” Henley said in a statement shortly after Frey’s death. "But, the bond we forged 45 years ago was never broken, even during the 14 years that the Eagles were dissolved."